Events — michellcclark.com - More than what you came for. For the third year in a row, we assembled to conclude Broccoli City Festival weekend with a brunch party that captures the glitz and glamour of a prime Washington, D.C. venue AND the comfort of a laid back house party with the homies. Shouts to DJ Schemes and DJ NiteCrawler for making everyone say "YASSSS" at the function multiple times apiece, thanks to their song selection and transitions. Shouts to you for showing up, showing out, and supplying incredible energy all day. We took Views From The Grits into uncharted territory this time around. We moved from afternoon to early evening, jumped into a bigger venue, and threw our hats into the ring during one of Washington, D.C.'s biggest Homecoming weekends of the entire year. The people brought incredible energy and made this another function to remember. Chef Cisero gave the people a "breakfast for dinner" buffet to start the night off. DJ NiteCrawler and Malcolm X were a force to be reckoned with behind the boards. We heard a throwback Kanye West set, got down to some southern hip-hop classics, and even had a solid 20 minutes worth of Kirk Franklin go off in the club. Undefeated. My roles: media coordinator and media partner. The Smile Project Carnival, which was organized by Broccoli City, was a juxtaposition of two seemingly incompatible event concepts – a family friendly carnival, and a vibrant showcase of D.C. music talent. Well known acts from the area such as GoldLink, April + Vista, Alison Carney, and Black Alley made their mark. It gave the college kids who were too insecure that they might actually enjoy riding a Ferris wheel on a Friday night license to embrace their inner hyperactive 9 year old inner self for a little bit. It enabled parents with strollers, baby carriers and cotton candy in hand the change to enjoy a bit of the live music scene that they normally had to purchase a babysitter to enjoy. It gave people in their late twenties an opportunity to look at their past and future selves, while enjoying the varied entertainment options in front of them. I headed up Artistic Manifesto's efforts to serve as the official media sponsor for this event, calling upon local photographers, videographers and influencers to document the event in different ways and creating the official event recap when all was said and done. Views From The Grits: More Glo was everything we hoped it would be. On Sunday, May 7th, 2017, we gathered at Chinese Disco in the Georgetown neighborhood of Washington, D.C. to celebrate more life and more glo as another successful Broccoli City weekend came to a close. For the first two hours, we indulged in a brunch buffet of crispy chicken wings, golden brown waffles, fluffy scrambled eggs, savory turkey sausage, home fried potatoes, and warm grits courtesy of D.C.’s very own Chef Cisero and his entire team, as Malcolm X of DTLR radio smoothly took us through different eras of music without missing a beat. As brunch came to a close, Malcolm started to take the energy levels up, and the day party portion of the day began. DJ Schemes of Shade 45 Radio was next up behind the boards, and he continued to elevate the energy, playing hit after hit as we truly let loose, lost track of time, and enjoyed each other’s company. The crowd of over 300 people came decked out comfortably, but still dressed to impress. When all was said and done, we all left the building with a feeling of euphoria, and a good portion of us proceeded to take naps soon thereafter. That’s how the game goes. Inauguration Weekend 2017 was an absolutely insane time to be in Washington, D.C., especially as a minority. On January 21, 2017, we chose to give the city a reason to be excited with the "We Gon Be Alright" brunch party. Attendees kicked back and escaped from everything happening and toasted to themselves in a welcoming environment. We still had plenty of things to celebrate, and we did. We partied to modern day black anthems like “Int’l Player’s Anthem,” “Knuck If You Buck,” and “Dey Know,” all coming to us live and direct courtesy of our 'Views From The Grits' partner in crime DJ Nitecrawler. We also enjoyed a delicious assortment of brunch staple foods, courtesy of Chef Joseph Evans. My roles: event conceptualization, creative direction, execution. On September 29th, 2016, Rob Hill, Sr. and Babu Company pioneered a new event concept called 'A Beautiful Day' that centered around creative networking, financial empowerment, and fundraising for underfunded educators in the Richmond, Virginia area. I came on board to conceptualize, promote, and coordinate the event. We secured a partnership with WeWork DC, a coworking space company, and proceeded to hold the event at their beautifully furnished Wonder Bread Factory location. From 5 to 9PM, attendees stopped by after work and experienced an mellow happy hour vibe with some bonus features thrown in for extra measure. While enjoying a vibrant, throwback hip-hop soundtrack courtesy of DJ Punisha, those who entered the venue were able to mix and mingle while enjoying a Circo and DeLeón tequila-sponsored open bar. Several painters displayed artwork throughout the venue, and Tonya Rapley of MyFabFinance offered information in regards to financial empowerment and wealth building in the conference room. After the success of Views From The Grits in May 2016, Britt and I regrouped to make the Summer Sixteen edition bigger and better. On August 30th, May 2016, we took our brunch day party to the Georgetown neighborhood of Washington, D.C. Specifically, we touched down at Chinese Disco, on the same weekend that Drake and Future's Summer Sixteen Tour came in town. Views From The Grits: Summer Sixteen Edition took place on Saturday, August 30th, from 12PM to 5PM - right in between the Friday and Saturday tour stops for the Summer Sixteen tour. Depending on which show you attended, the brunch could be either a recovery period or a pre-game. Regardless, everyone got more than what they came for. We teamed up with Washington, D.C. staple restaurant Oohhs and Aahhs to give attendees a hearty, down home brunch that felt like something grandma could have made. Between Spinser Tracy and Grits alumni DJ NiteCrawler, the brunch quickly transitioned into what felt like a homecoming weekend party. Check out the recap video below. My roles: event co-creator, promotion, execution, documentation. On April 30th, 2016, Drake's highly anticipated VIEWS album, originally known as Views From The 6, releases. On May 1st, 2016, I teamed up with Britt Wright to introduce the Views From The Grits brunch and day party to the Washington, D.C. market at Manor DC in the Dupont Circle neighborhood. 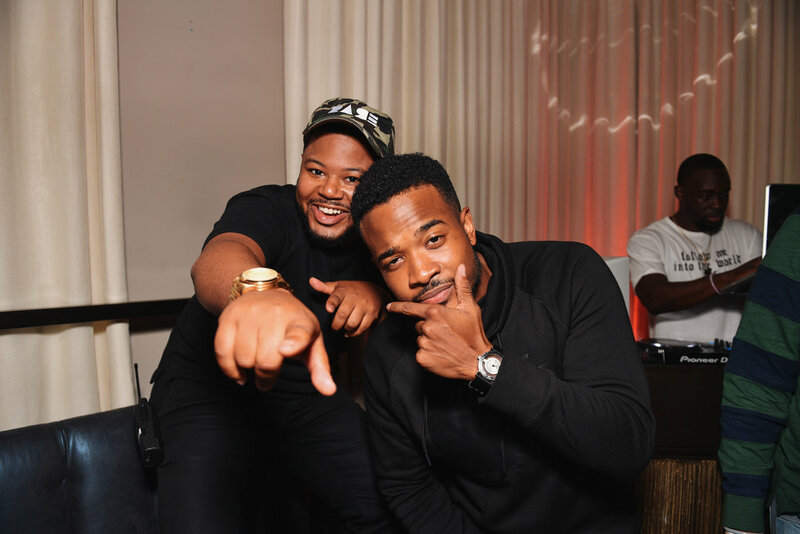 The brunch took place at the end of a very eventful DC weekend for music lovers, partygoers, and everyone doing it #ForTheCulture. On April 29th, the Trap Karaoke experience took over. The next day, Broccoli City Festival went down with performances from Future, Jhene Aiko, The Internet, and an array of other talented artists. After such a jam packed weekend, we took it upon ourselves to use Sunday to provide everyone with the perfect send off. We took over Manor D.C. and turned it into a haven for those who appreciate everything Drake-like, from Comeback Season to Take Care to the "Hotline Bling" dance. DJ NiteCrawler kept the party moving from start to finish. You can get a feel for how it went down via the recap video below. I'm interested in working to build and execute impactful, unique event concepts around the world. I like to travel. Feel free to reach out via the form below.